Right, so let's go straight for the jugular. This is Man Week. A week dedicated to the manliest video game characters we've ever known and whatever manly deeds they have performed to make the rest of us question our manhood. Throughout the coming week, expect little features dedicated to the most manly of men, heck, jot down who you think is the manliest in the comments below or tweet us with the hashtag manweek and you might see your favourite in a user's choice feature by the end of the week. To kick off the launch of Man Week, we're starting with a simple list of who we think are the ten most manly men in video games (compiled by Adam and myself), spanning from the more classic to the more contemporary titles. Don't worry, the only Final Fantasy character featured here is the one with a gun for a hand. So in alphabetical order, here are the ten most manly men ever. Augustus "Cole Train" Cole. Occupation: private, COG Army. A former Thrashball player with the skills to match his mouth in both the playing field and battlefield, Cole shows no fear when facing the Locus horde, killing overwhelming numbers while also instilling fighting spirit among his fellow Gears with his flamboyant personality. Cole has declined every rank promotion offered to him in his military career, sticking to his guns that it won't change how many Locust he kills. 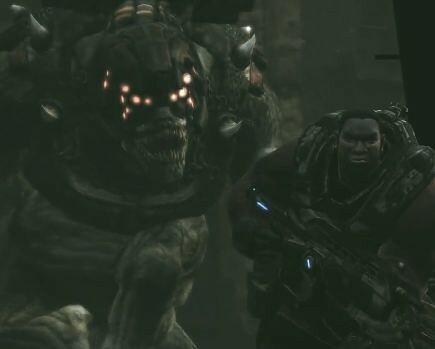 The man even taunted a Brumak into chasing him. Barret Wallace. Occupation: freedom fighter, leader of anti-ShinRa organization Avalanche. 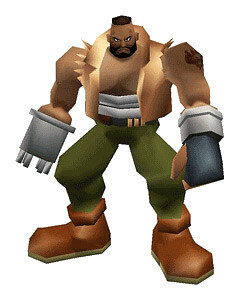 In his career, Barret has attacked a number of reactors that line the parameter of the city-state of Midgar in an attempt to halt the corrupt power company from sucking the planet dry of mako. More deeply rooted is his vendetta against the the company for sacking the mining village of Corel that was his hometown, murdering its villagers including his wife and best friend. The incident left his arm mangled, leading him to attach a gun rather than a normal prosthetic. Never to forget his humanity though, Barret takes Marlene, the daughter of his best friend Dyne, under his care, treating the child like his own daughter. Naked Snake. Occupation: FOX operative. Having single-handedly infiltrated enemy lines into Tselinoyarsk, otherwise known as the Virgin Cliffs of Russia, Snake would encounter more than he asked for in both the Virtuous Mission and Operation Snake Eater. Forced to face his own mentor The Boss and her progeny, the Cobra Unit, Snake rose above and beyond to take them down, including Volgin and the Shagohod. 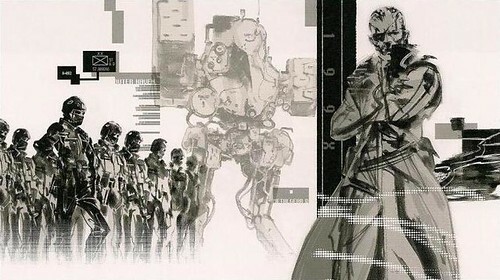 Later awarded the prestigious title of Big Boss, he would leave behind the country that betrayed him to form the Militaires Sans FrontiÃ¨res (MSF) - otherwise known as the Soldiers Without Borders, a private military group that would eventually be known as Outer Heaven. More importantly, the man also appreciates cigars. Ezio Auditore. Occupation: Grand Master of the Assassin Order. Ezio's life was one disfigured by fate, having witnessed the untimely betrayal and murder of his family, Ezio took up the Creed, pledging allegiance to the Assassin Order to which his father belonged. 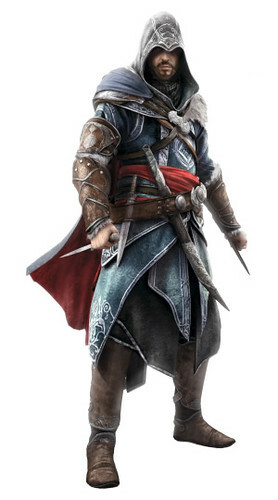 Despite his desire for vengeance, Ezio pursued the larger picture, picking up the necessary skills from fellow assassins and eventually expanding the Brotherhood. Even at the age of 50 odd years, Ezio is still more than capable of putting the beat down on an army of Templars, as witnessed in the extended cut of the E3 2011 trailer. 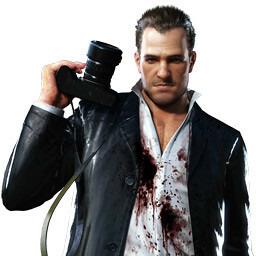 Frank West. Occupation: an overly enthusiastic freelance photographer. Simply an average joe put between a rock and a hard place, Frank West is tough if not resourceful, using just about anything he can find in the mall to use as rather exotic zombie killing machines to save what survivors remained. It also helps that he has experience from covering wars previous to the Willamette incident. Isaac Clarke. Occupation: CEC Engineer. 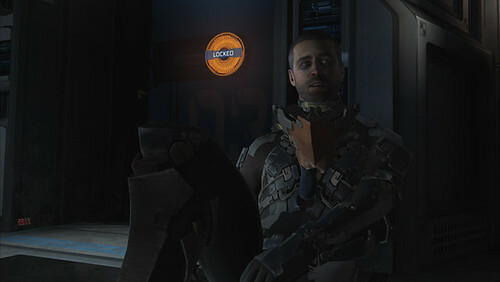 Mad or not, Isaac Clarke was chosen for his acts of bravery aboard the USG Ishimura and later on in the Sprawl against the violent and murderous necromorphs, as well as the irritating Unitologists. Isaac shows a knack for turning engineering tools into deadly weapons and is more than capable of handling himself against the hordes of necromorphs. Despite witnessing the truth of his lover's fate, Isaac remained determined to survive, killing the Hive Mind and even defeating the apparition of his lover Nicole, destroying the Marker he supposedly made during his time on the Sprawl. Jim Raynor. Occupation: ex-Terran Marshal. 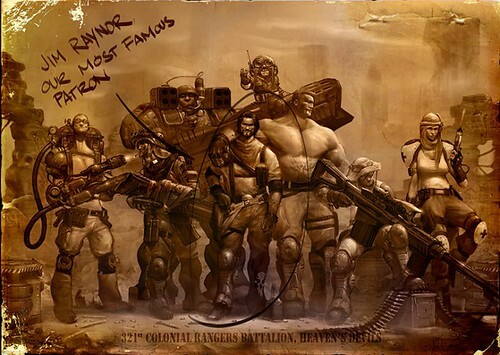 The choice of Jimmy Raynor as one of the most manly men needs little explanation. He's the only human to have a long-lasting alliance with the Protoss and is responsible for the downfall of both the Confederacy and the Dominion. The man loves his antiques, such as a "liberated" Colt Single Action Army and a jukebox. Despite all his run-ins with authority, Jimmy stuck to to his guns, refusing to shoot and kill even after being instated as marshal of Mar Sara. Kratos. Occupation: Spartan General turned God of War. Betrayed countless times by the Olympians, Kratos would not stop his search for vengeance until every last Olympian was felled by his blades. 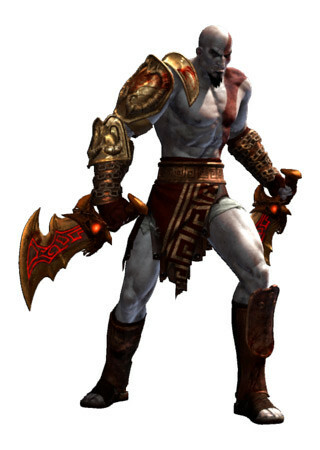 Fuelled by hatred and rage for the gods, Kratos suffered the wrath of many Olympians, but always came out the victor. He ripped off Helios' head with his his bare hands, ripped out Cronos' giant fingernail, sliced off Hermes' legs without so little as a flinch, gouged out the eyes of Poseidon and ultimately defeated his own father Zeus. Frederick "Sol Badguy." Occupation: bounty hunter. Also known as the Flames of Corruption, Sol Badguy is a force to contend with. As the original prototype Gear, his powers would be uncontested were it not for the Gear-suppression device atop his forehead. Even though his powers are suppressed, Sol still becomes one of the best fighters during the Crusades. If you need anymore confirmation of his manliness, simply look to YouTube and check out all the videos showcasing his insane move-sets. Not to mention with a name like Sol Badguy it's pretty much a sealed deal. Wander. Occupation: presumably a warrior of sorts. 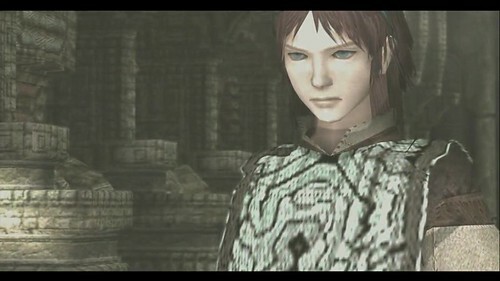 Don't let appearances deceive you, despite Wander's androgynous looks and the questionably flamboyant manner in which he runs, the young lad scaled and defeated sixteen colossi much, much larger than himself, all for the sake of reviving a young maiden. Wander paid a heavy price and while little to no speech is spoken from his mouth throughout the entire game, one can't help but feel admiration for the determination he showed.